All of these ingredients & supplies can be easily found at a craft store, at a health food store, or online. *Directions: They recommend sanding the bottom of the focal piece and the base, but it’s not necessary. Also, the epoxy has a strong smell so make sure you’re in a well ventilated room. Start by adding epoxy to both the base and the bottom of your focal piece. Press together and hold for a few seconds. Wait until the pieces are fully bonded together. I waited 24 hours, but it actually only takes about 5 to 10 minutes. Fill the globe almost to the top, but not all the way, with distilled water. Add your Snowflakes, Diamond Dust, and/or Glitter. Slide your focal piece into the globe (and you can add more epoxy to the edges to prevent leaking. Tightly screw on the base. And that’s it! You can add embellishments to the base or just leave it as it. – Container to Heat the Ingredients in (Do NOT use plastic) I got a stove top pot from Hobby Lobby. *Directions: Add the Emulsifying Wax, Oils, and Butters to a microwave safe or stove top safe container. Melt the ingredients together. Do NOT bring to a boil. Add the Glycerin & Aloe Vera. Blend together. (I recommend a whisk) Remove from heat. Add the fragrance oils. Blend some more. Pour into containers. Secure Lids. Shake every fifteen minutes until it’s cool. I put mine the freezer for two hours after this to help it solidify faster. Then you’re done. This takes a little more babysitting, but it’s worth it! *Directions: This is super easy. Put 10 to 15 drops of fragrance into a container. Add Distilled Water. Shake and Spray. And don’t forget, if you’re handy in the kitchen, you can always bake a dish or dessert for someone. Final Note: Avery makes some Sticker Project Paper #3383. You can make labels whatever size you wish and stick them to your bottled gifts. They make white & transparent. I can’t say they’re water-proof, but they hold up well and will look pretty good on your projects. This is so cute! I need to get a new hand mixer sometime before New Year’s so I bake cookies. I did it last year for the family gathering on New Year’s and my niece and nephew loved them. I love baking stuff. I got a mini donut maker a couple of years ago, people love those things. Never occurred to me people could make their own snow globes. I know right! I was so excited when I saw those things. I always make something for my mom since she is always gets such a kick out of it. The snow globe idea is fab! Smart ideas for gifts, and it becomes extra special because it has a personal feel! 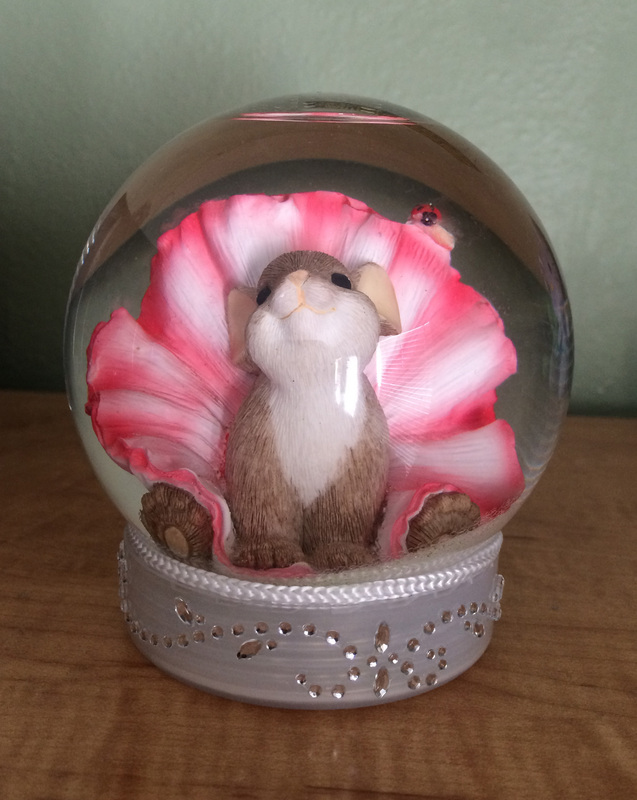 Isn’t the snow globe just awesome! That was my third lotion recipe. I was thrilled to finally find something that wasn’t too greasy and that I could also put in a bottle with a pump.